A huge thank you to our local businesses for showing how much they care for their local community! With your support we are on the right track to reaching our goal! I want to express how thankful I am for the WES PTO Committee and our Whitefield School family as last nights Turkey Bingo was a great success! I really loved seeing members of our community that we do not see on a regular basis join us for this fun evening and connect with members of our school community. I would like to express a special thank you to our Bingo specialist, Tanya Whittum! Tanya put in countless hours advising, preparing the bingo boards, setting up the sheets, creating game rules, baking, getting raffle items, and promoting the event and then put it all together as she mc'd the entire evening! Thank you Tanya for truly showing Pirate Pride! Of course many hands were instrumental in making our evening such a success! I would like to thank Vicki Myles, Tina Mooney, Laura Norman, Am Cronin, Kim Hanf, Rob & Sue Gauthier,Caroline Carr, Mr. Cronin, Ashley Guilbeault, Jenn Stark, Bella Cronin, Kenzie Norman, Karson Norman, Dylan Woodburn, and Jenn Stark. I would also like to thank all of the families that contributed something to our bake sale. We truly could not have done it with all of you! I would also like to express a great amount of gratitude to everyone who donated a turkey dinner for this great event! Each basket was happily received and I am sure will be enjoyed this holiday season. 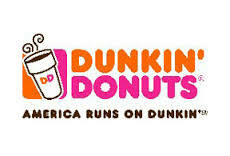 We would like to thank our generous community for making our Teacher Appreciation Week such a great success! Our teachers were touched by the donation of so many gift certificates and it really meant a lot to them to see how much our community values them. We could not have done it with out you! We would like to thank our local Whitefield Subway for assisting us in making our first annual Picnic Dinner at this years April Fools' Show such a great success. Students, parents, and staff really enjoyed having such a healthy dinner option to enjoy during our show! Thank you for helping make this event such a great success! We are excited to announce that the North Country Climbing Center donated three climbing passes as part of our March Box Top Challenge! The drawing was held on March 31, 2016. Thank you North Country Climbing Center for helping us increase the number of Box Tops our students brought in during the month of March and giving them the opportunity to participate in such a great form of physical and mental exercise! 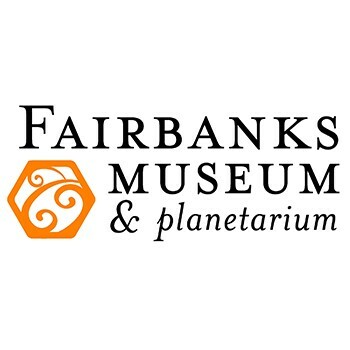 We are so excited to announce that the Fairbanks Museum and Planetarium donated three day passes as part of our Valentine's Box Top Challenge! The drawing for these great passes will be on Friday, February 19, 2016 so our students can enjoy this great opportunity during February break! Thank you Fairbanks Museum and Planetarium for helping us increase the number of Box Tops our students brought in during the month of February and giving them the opportunity to learn and grow with you! 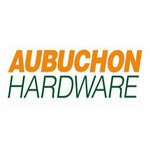 The staff and students of the Whitefield School would like to thank Aubuchon Hardware of Lancaster for their generous donation of sleds to help us stay healthy and active during the long winter months. Your donation was key in making the expansion of this program possible! We want to express our appreciation for your generosity in support of The Whitefield School PTO and our 1st Annual Breakfast with Mrs. Claus. Your personal commitment was incredibly helpful and allowed us to reach our goals. Your assistance means so much to us but even more to the students and staff at The Whitefield School. Thank you from all of us!